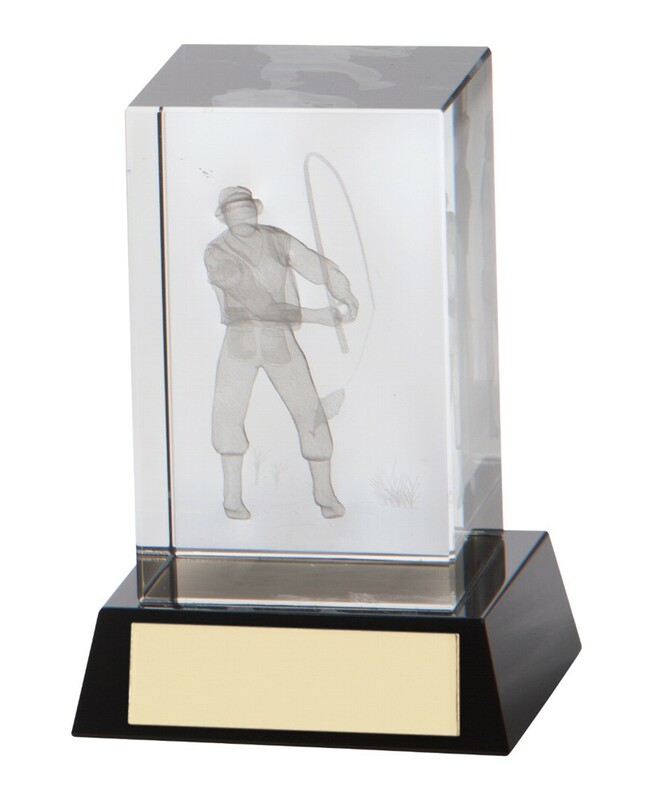 The Crystal 3D Cube Fishing Awards are very unique and excellent looking, it has a lasered 3D fisherman figure inside the cube. The cube is mounted on a black base. It measures 100mm high and comes presented in a blue lined gift box.